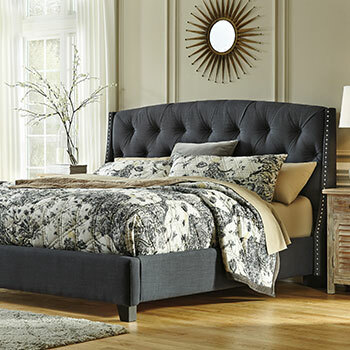 There’s no better place to find affordable bedroom furniture in the Worcester County area than Sclamos Furniture. 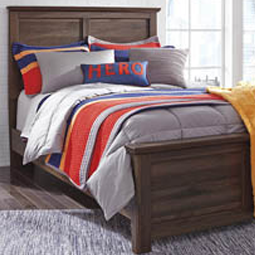 Our discount furniture store maintains a large and diverse collection of brand name bed sets, spacious dressers, and bedroom accents, all sold at conveniently low prices. 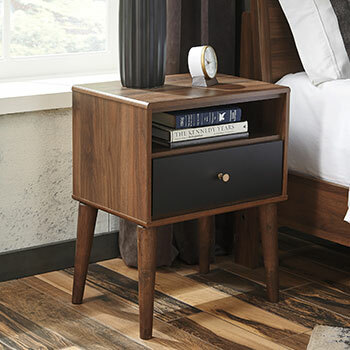 Whether you prefer fashion-forward modern furniture or traditional bedroom furniture with Old World charm, you can count on our home furniture store to provide you with a wealth of options you’re sure to love. 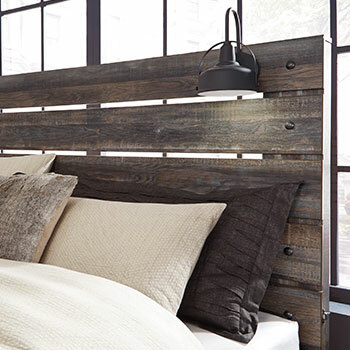 Your bed is the focal point of your bedroom, so you should purchase one that reflects your unique personal style. We have literally hundreds of beds for you to choose from, so we are confident that you will find the one that is the right fit for you. We have sophisticated sleigh beds and poster beds, along with statement-making canopy beds. If you prefer something more simple and streamlined, we have panel beds and platform beds as well. We also have distinctive upholstered beds for sale, which are available in a variety of fashionable materials and colors. 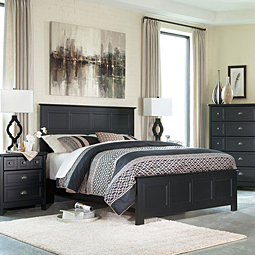 In addition to our selection of brand name beds, we also maintain an extensive collection of bedroom storage furniture. 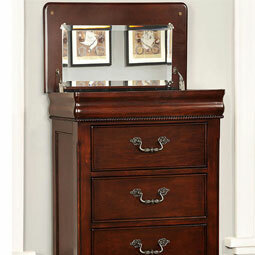 We have spacious bedroom chests and dressers for sale, both of which are perfect for storing clothing and linens. 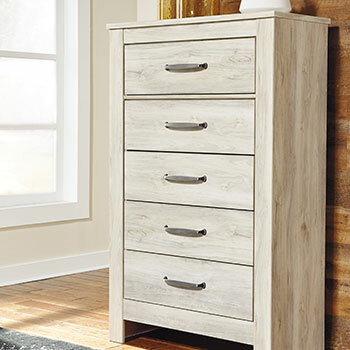 While bedroom chests and dressers are similar in terms of function, chests are tall and narrow while dressers feature a more low and wide design. We also sell an assortment of vanity sets, which will add elegance to any morning routine. 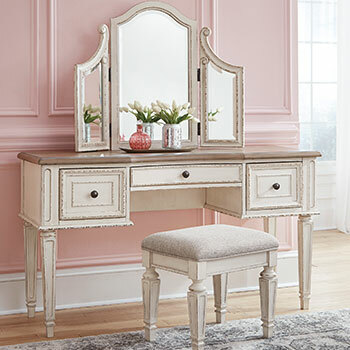 Our vanity sets include spacious tabletops, mirrors, and storage drawers with plenty of room for makeup, accessories, and other daily necessities. 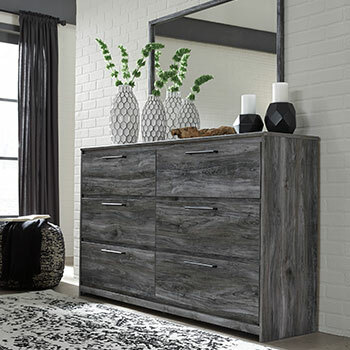 At Sclamos Furniture, we also sell media chests, compact nightstands, affordable bedding, and so much more! 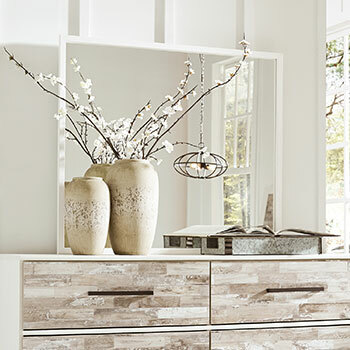 Shop with us online or visit our Worcester, MA furniture showroom to see for yourself. 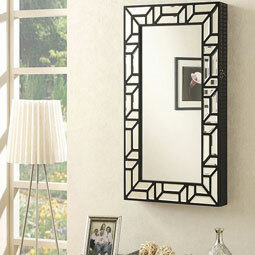 With our diverse furniture collection, we guarantee we can fulfill all your home furnishing needs. Stop by today!